Once upon a time there was a little girl called Anna, who loved riding her bike. Anna always wore a hat, and lived in a big house near a green and beautiful forest. Anna usually rode her bike away from the forest, for her mother had told her never to enter the wood because it could be dangerous. But one day it was very windy and Anna’s hat flew up into the air and down into the wood. Anna thought that the hat would come back, but instead it disappeared as if the forest had swallowed it up… Very upset, and ignoring her mother’s warning, Anna went into the wood to look for her hat. Still amazed at having seen her fairy godmother, Anna stood and waited for the fairy to come back and take her out of the forest. Suddenly, strange noises were heard and a giant bird grabbed Anna by the shoulder and flew off with her. 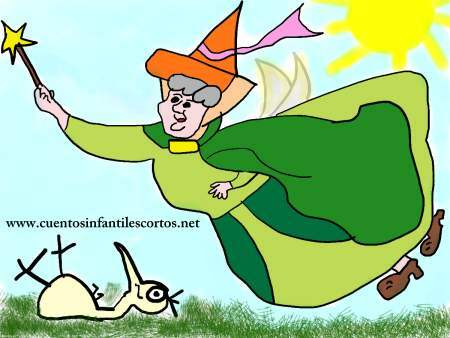 But Anna’s fairy godmother, having found the hat, heard her screams and came flying out on her magic horse. The forest fairy threw some magic dust onto the evil bird, and managed to rescue Anna and take her back home.